In this workshop, we will take you on a walk through your imagination, led first by voice and then by the music of Johann Sebastian Bach performed live by acclaimed violinist, Olga Guy. Together, we will combine relaxation techniques inspired by Buddhist meditation, story-telling and live music to create the journey. The aim of this workshop is to inspire your mind and enable you to discover the power of your creative spirit which lies within your imagination. We suggest you come to the workshop with a focus for which you need ideas. It may be a problem you wish to solve, a goal you seek to achieve or a creative project you are embarking upon (such as writing a book). We also recommend you bring a notebook to write down any inspiration, though paper will be provided as always. But be aware, even by the experimental nature of the Imagination Club, this workshop is exceptionally experimental. 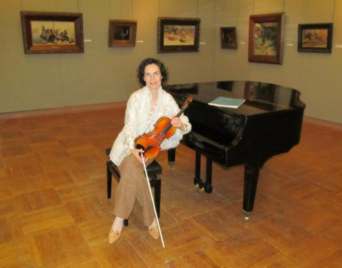 Olga Guy is a Belgian violinst of Russian origin who performed her first solo at the age eight and who has performed globally in orchestras and solo ever since. Her CD of Eugene Ysaye's Sonotas will be released this month. 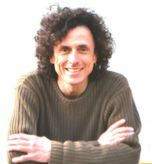 Jeffrey Baumgartner is the co-founder of the Brussels Imagination Club, an author, speaker, workshop facilitator and general trouble-maker extraordinaire. A special thanks to UBI for donating classroom space for us! A contribution of €10 to cover expenses including materials, drinks, snacks, etc. Want to come, but don't want your name on this list? No worries. Just tell us not to publish your name when replying.